• 28.6% of residents volunteer, ranking them 20th among the 50 states and Washington, DC. 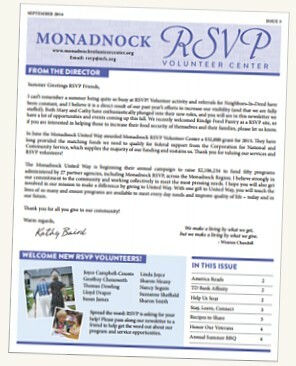 • 29.6% of residents over age 55 volunteer. • social service or community serv.(19%). • 58.4% of residents donate $25 or more to charity. • On a monthly basis, one third of NH residents report they do a few favors or more for their neighbors. • 15.2% of residents participate in public meetings. • 31.3 volunteer hours per resident. • 37.33 million hours of service. • $960 million of service contributed.